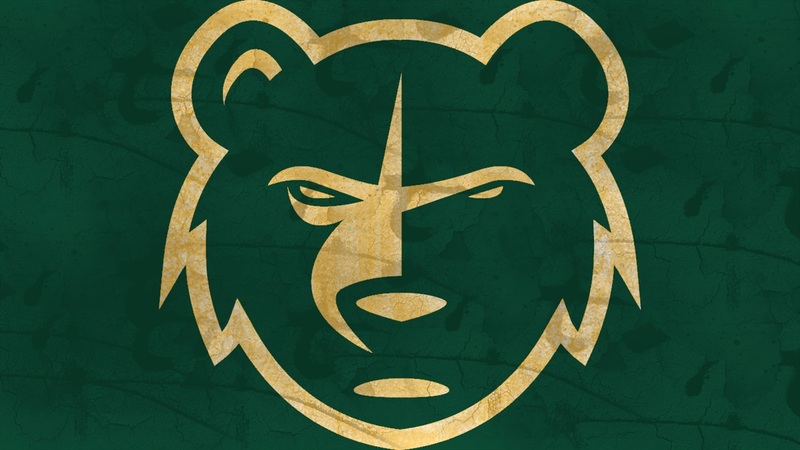 BROKEN ARROW, Okla. – Baylor women’s golf is in second place after shooting 4-over-par 292 in Sunday’s first round of the Big 12 Women’s Golf Championship at Golf Club of Oklahoma. The Bears are just five shots back of lead with 36 holes to play. No. 32-ranked Baylor (+4) trails only No. 2 Texas (-1). The Bears lead Kansas (+9), No. 24 TCU (+11), Oklahoma State (+12), No. 18 Oklahoma (+13), No. 39 Iowa State (+17), No. 37 Texas Tech (+17) and Kansas State (+23). At one point late in the round, Baylor was in second place at 10-over par, but the Bears were 10 shots back of the lead and as close to ninth place as first place. Baylor finished strong, with Maria Vesga and Diane Baillieux both capping their rounds with three consecutive birdies, while Gurleen Kaur and Erica Chiang played the final three holes at even-par, helping BU trim six shots off its score from 10-over to 4-over. Kaur jumped out to an early two-stroke lead on the 45-player field by making five birdies over her first seven holes. She took the turn at 5-under and started the back-9 with a birdie on No. 10 to move to 6-under. Kaur finished the day with a 4-under 68, which has her in second place and one shot back of the lead held by Texas’ Sara Kouskova. Vesga’s late surge pushed her from 3-over through 15 holes to even-par 72 on the day, which has her tied for fourth place. Baillieux didn’t make any birdies through her first 15 holes, but she finished with three straight birdies to card 1-over 73, good for ninth place. Two Bears made their career-first postseason appearances – Chiang posted the Bears’ final counting score at 7-over 79, while Emma Bradley shot 9-over 81. Baylor’s four counting scores combined to shoot 3-under on the back-9 after taking the turn at a combined 7-over. Baylor is tied for second in par-4 scoring at 13-over 4.26, tied for second in par-5 scoring at even-par 5.00 and tied for fourth in par-4 scoring at even-par 3.00. Baylor’s 17 birdies tied Texas for most in the first round. The Bears combined for 52 pars, tied for fifth-most in the field. Kaur is tied for the lead in the 45-player field in par-3 scoring at 2-under 2.50, while Baillieux is tied for seventh at 1-under 2.75. Kaur is tied for second in par-4 scoring at even-par 4.00, while Baillieux and Vesga are tied for fifth at 1-over 4.10. Kaur is tied for second in par-5 scoring at 2-under 4.50, while Vesga is tied for seventh at 1-under 4.75. Kaur’s seven birdies were most by any player in the first round, and Vesga is tied for third with five birdies. Baillieux is tied for sixth with 13 pars. 7 – Kaur made a tournament-high seven birdies in the first round. She was one of five players to birdie No. 1, one of three to birdie No. 3, one of seven to birdie No. 5, one of four to birdie No. 6, one of eight to birdie No. 7, one of five to birdie No. 10 and one of seven to birdie No. 13. Baylor is paired with Kansas and Texas for Monday’s second round, which begins at 8 a.m. CT. Bradley has Baylor’s first tee time at 10 a.m., followed by Chiang at 10:10 a.m., Baillieux at 10:20 a.m., Vesga at 10:30 a.m. and Kaur in the final group of the day at 10:40 a.m. Live scoring is available at www.golfstat.com.